Elizabeth is talking about Creativity, but this sort of how I think of our lives as brand builders. We don’t have to limited by the unoriginal thinking and boring, confining structures that normal people get stuck in. We get to trust and follow our fascinations. I believe building a brand and a tribe, instead of just a business, is where that whole ‘the rest will take care of itself bit’ actually becomes true. But reading the profoundly impactful book Big Magic was not the first time this author touched my life in a profound way. The first time, was 35,000 ft in the air, when, while strapped into a long-haul Icelandic Air flight from Seattle to London. I made the fateful decsion to watch a film everyone had been raving about (but I’d missed in the theatre), ‘Eat, Pray, Love’. I was, at that time, only a few weeks on from an awful break-up with a man I’d thought I wanted to spend my life with. I had broken off our engagement just a few weeks prior, when I had come to the awful realization that our impending marriage wasn’t the right thing for either of us. I had ended it, so not only was I wracked with guilt for breaking his heart, but I was also mystified and terrified by my ability to have slept-walked in to a life, that although perfect on paper, was not what I truly desired. The tragic accuracy of these feelings – spoken by someone else – felt like they split me in half, and in a silent plane packed full of hundreds of humans, I started sobbing uncontrollably. If you can believe it, the release of grief and the relief of finally like maybe one other human on the planet understood what it felt like to live through what I’d just lived though, was so intense, that the humiliation of other peoples’ stares didn’t even register!! I don’t even remember being embarrassed! Oh my god it must have seemed so dramatic I’m sure – but the mix of deep sadness and almost euphoric comfort of suddenly feeling like I was not so alone. Feeling connected to someone else’s human experience is insanely powerful. These experiences stick with us and drive our decisions and behaviors, which is why storytelling is a magical tool that can change us, and inspire us to change the social structures we occupy. Writers like Elizabeth Gilbert wield this great power by creating books and films that move us. Entrepreneurs wield this great power by building brands that matter. But not all entrepreneurs know their power. Many of them haven’t found it, don’t know how to use it… and saddest of all – many entrepreneurs don’t believe they have it. That there is nothing unique or special about them. That what they do matters to them, but aren’t sure why anyone else should really care… And so often our efforts as marketers, as storytellers, as business owners seem to go unnoticed so our secret fears that we’re unremarkable get confirmed. But let me tell you my darling one – you will always find proof of what you fear if you go looking for it and you were born remarkable. The path that you’ve walked to stand where you’re standing now is 100% unique to you, and like your thumbprint, it’s yours and yours alone. But you do have a decision to make… You need to decide what kind of person you’re going to be… are you going to be like most people, and let your disappointing life experiences prove that you don’t matter or that you can’t do it? Or will you be the brave enchanted rebel who seeks a different truth: one where your powerful and unique story allows you to finally get noticed and change lives for the better? 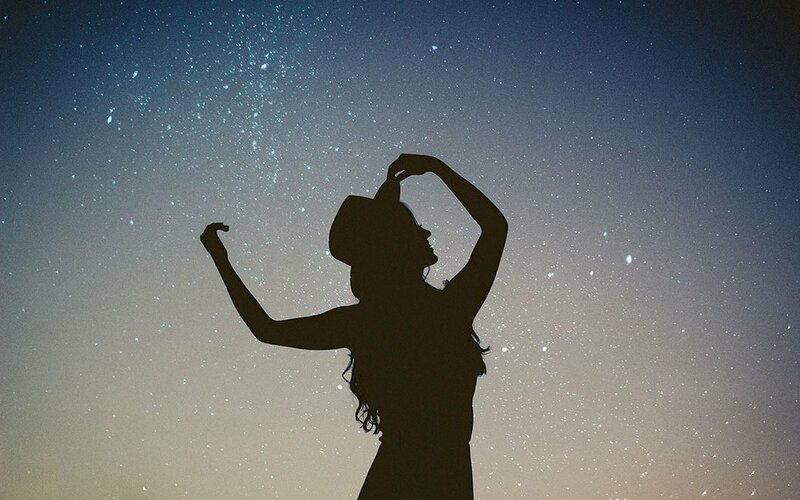 If you want to be that rebel – a brand builder – a magic maker – then your first step is to do the deep work to find the shapes and edges of your magic. It feels a little like fumbling around in the dark at first, and building a brand based on your unique personal magic is definitely not as fast as just starting a business (although I do suggest you do that too), but I believe that brands that matter – brands created by entrepreneurs who are deeply committed to finding and sharing their unique magic, and creating change – will be the force that saves this chaotic world we live in now. So, all of that is find and good, but where do you start with all of this magic-finding? Well, if you want more support I have created a step-by-step course to guide you through this process, but for now I want to give you the basic steps to get you started. 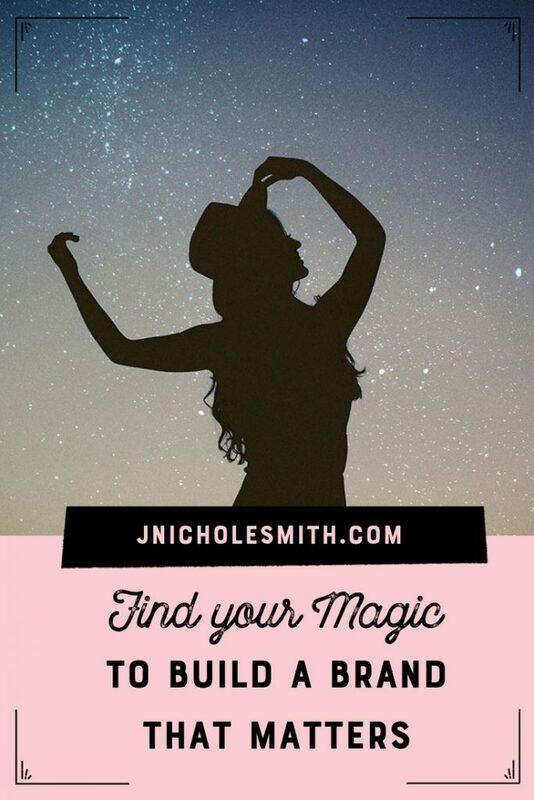 These steps may sound overly simple, but trust me, they’re absolutely essential to unearthing the unique magic you will build your brand around and leverage to be that enchanted rebel who changes the world with your story. What is the change you want to see, or the cause or people you care most about serving? What are the unique skills, assets, resources and perspectives you can bring to this cause? What does ‘freedom and fulfilment’ look like on a normal day in your ideal future? Most importantly, in detail, how do you want to spend your precious time? All of these steps are important to not only help you have the impact you desire most, in a way that fuels you instead of bleeds you dry AND also takes you to a life you actually want, instead of one where you feel trapped or all wrong for the job you’ve created for yourself. Like I said, if you want more help with this you can grab my ‘Find your Magic’ course – where there is a whole workbook with video tutorials to help you excavate your own story to find the bits that make you special. That’s it for episode 5 of the Magic Maker podcast – welcome to the headquarters of entrepreneurs who want to do good, be real, find happy and build brands that matter. Next week, I’ll be taking you on a very personal journey into one of the dark scary places in my life, so we can talk about the one essential topic entrepreneurs need to create real and lasting change. This is possibly the most important podcast ever – and we’re getting SUPER real – so make sure you subscribe so you don’t miss it. Of course, we would be so grateful if you would be willing to invest a few moments of your precious time by reviewing this podcast on iTunes, so we can reach more magic makers and help too, to change their lives, and the world.